While change is good, it isn't always welcomed. All software updates with radical redesigns and brand-new features bring at least a few complaints from those accustomed to previous versions. iOS 7 got a lot of flak from iOS 6 users, as did iOS 8 from iOS 7 users. When it comes to Mac OS X, the new Yosemite is extremely powerful and packed with tons of awesome new features, but it did muck up one aspect that I particularly enjoyed about Mavericks—the dock. In Yosemite, the dock at the bottom of the screen is now a flatter version of what it was before, lacking the transparency and three-dimensional look that I preferred in Mavericks. 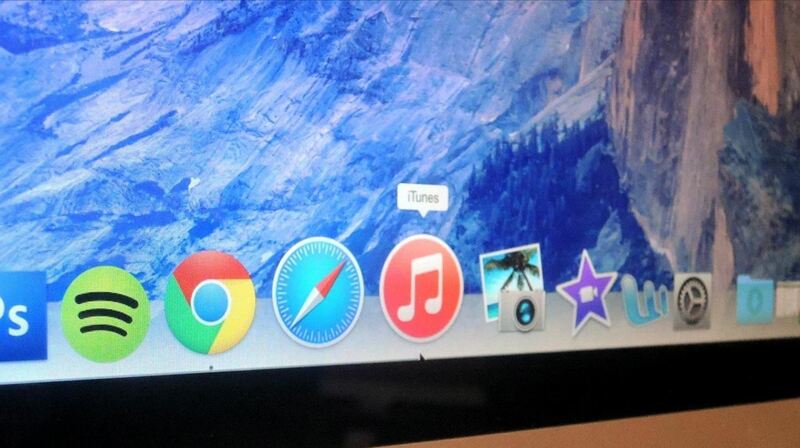 Luckily, we can get the older style Mavericks dock back thanks to cDock. cDock is a third-party app that allows you to modify the file system on your computer. For our purposes here, we'll use it to revert back to the 3D transparent dock available on previous versions of Mac OS X. Start by installing cDock, if you haven't already done so. If your Gatekeeper security settings are set too high, you might not be able to open cDock right away. To allow an exception, see our guide on installing third-party apps from outside of the Mac App Store. 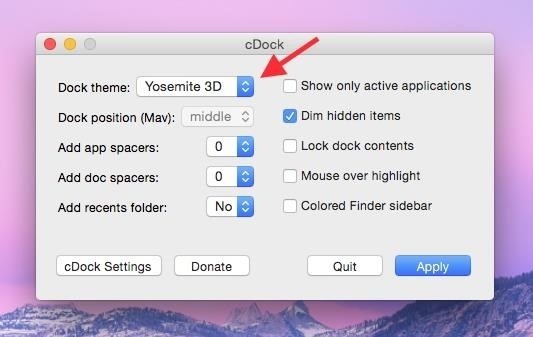 Once you've opened cDock, choose "Yosemite 3D" from the Dock theme dropdown menu. Ahhhhhhh, back to normal. With cDock, you can customize more settings if you'd like, such as moving the dock position, adding spaces and folders, hiding inactive applications, and more. Are you a 3D dock person, or do you prefer the new flat design in Yosemite? Let us know in the comments below, and make sure to check us out over on Facebook and Twitter for more fun Mac hacks.